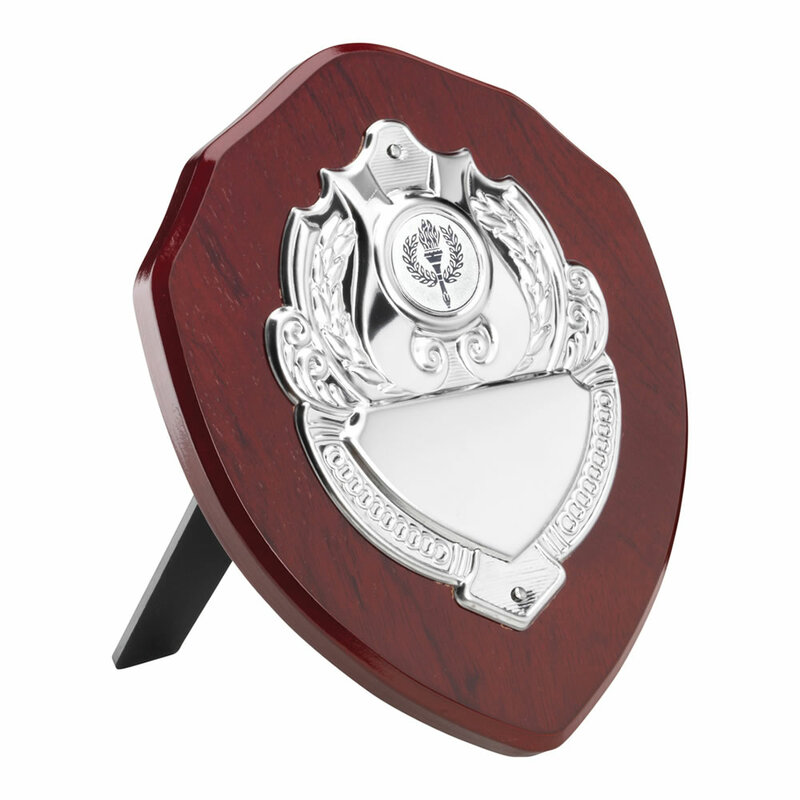 Classic wooden awards shield with chrome plated centre plaque. Supplied complete with wooden strut, these traditional wood plaques available in four sizes and are offered with engraving options for the centre plaque. 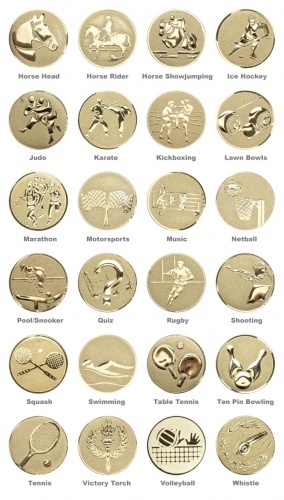 Optional 1in centres for 48 different sports, activities and achievements are available for the centre plaque, in a choice of gold, silver and/or bronze colour finishes. 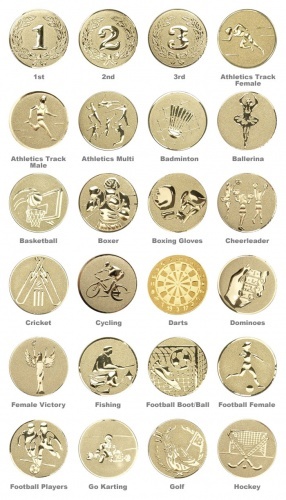 Main product image shows 'Victory Torch' centre in silver colour.